update your chrome. In chrome, 3 dots in top right corner, Help > About Google Chrome. 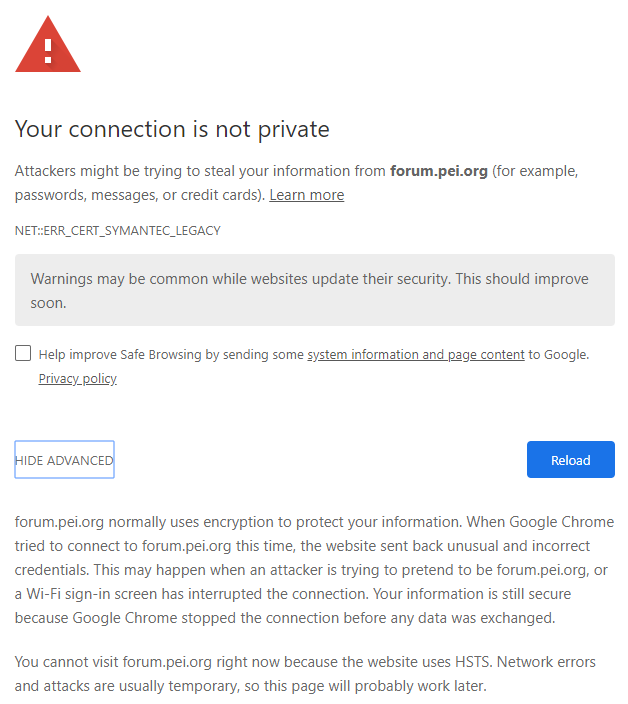 Actually have no issues accessing the forum using the Chrome from home. Might be the difference between Win 7 (home) vs Win 10 (office).